The First UK printing published by John Lehmann in 1951. Author's scarce second book. The Book is in Very Good++ or better condition. The boards are clean with some fading to the edges and a small bump to the fore-edge. There is some mild toning to the text block. Mild pushing to the spine tips. The book is tight, clean and free from inscriptions. The WRAPPER is complete and is in VERY GOOD++ or better condition. It bears the correct price of 10s 6d. It has some minor edge-wear with associated creasing and rubbing with a little loss to the ends of the spine. The spine is slightly toned but this does not detract from the pictorial wrap around design. The rear panel has mild toning to the edges but less so than usually encountered. Some small closed tears to the spine and flap folds which have been reinforced with a little archival tape to the verso. 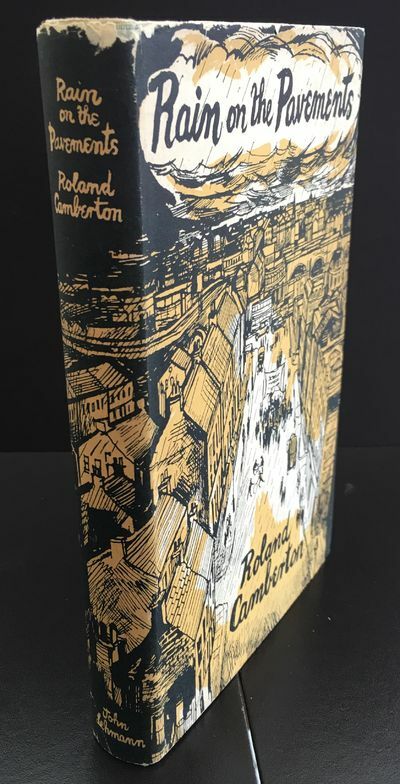 The wonderful period wrapper artwork is by the renowned artist JOHN MINTON and looks stunning in the Brodart protective cover. John Minton was commissioned to design the wrappers for both of Camberton's books. The book also bears the personal library bookplate of J.B.Priestley to the front pastedown. Priestley was a great supporter of Camberton and was instrumental in gaining recognition for Camberton's first novel 'Scamp'. This is a very scarce association title. There has been much interest in Roland Camberton recently resulting in both his novels now being back in print. The author Iain Sinclair has particularly taken an interest and written on Camberton and his books. Collectible. Ashton Rare Books welcomes direct contact.